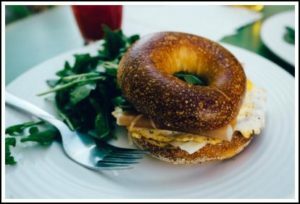 how do healthy breakfast recipes with eggs sound to you? Healthy Breakfast Recipes That You Can Make In Minutes – With Eggs! Breakfast is the most important meal of the day. We all know that. Still, a lot of time we simply compromise it for expediency’s sake. After all, morning is the time when everyone is in a rush. This is the reason that we are here with some simple breakfast recipes -with eggs – that anyone can make in no time at all. And the best part about all these recipes is that they are all great for your health as well. So, you don’t need to worry about compromising on the nutritional values! What can be better to begin the day than a sandwich made from your favorite bagel and cream with cheese? Just to add on the nutritional value, you can a slice of tomato, cucumber and assortment of your favorite vegetables. It won’t take more than a few minutes to prepare the sandwich. And that fact that it is going to include fresh vegetables, you can be sure that it is going to be high on the nutrition factor. Another easy to prepare and high on protein breakfast dish that we have here for you is this tempting English-muffin egg pizza. Put hard boiled eggs to half cut muffins, add a little bit of olive oil, and a slice of tomato. Don’t forget to add a small amount of mozzarella cheese before toasting. And tada! A healthy, great looking and quick-to-make egg pizza is ready. It won’t take more than 10 minutes. To save time, you can hard boil the eggs night before. Moving on, we have another one of the egg recipes that you can create for breakfast in quick time. If you have young kids at home, then this is soon going to become their favorite dish without a debut. To prepare the dish, you need to spread butter on bread slices. Create a hole in the center of the bread using a cookie cutter. Put some butter in the non-stick and heat the bread. 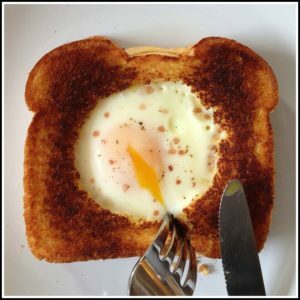 Crack an egg in the hole made in the bread. Cook until the bread is crisp golden brown. And, season with salt and pepper as per you personal tastes! You can serve the breads with yogurt, berries and fresh cut fruits. These were just a few of the recipes that you can try. There are plenty more which we have for you. We will keep on sharing them from time to time. For the time being, you can go ahead and begin trying these recipes and have some healthy snacks to eat at home early in the morning. As they say, all happiness depends on a leisurely breakfast. So, what are you waiting for? 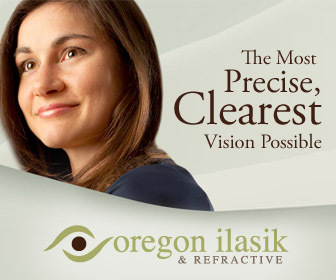 Try these out, and don’t forget to share your experience with us! We would love to know how you enjoyed these healthy breakfast snacks and how did everyone in the family responded to them!